Now we can confirm the upcoming WhatsApp update build 2.12.45 brings exactly that feature. 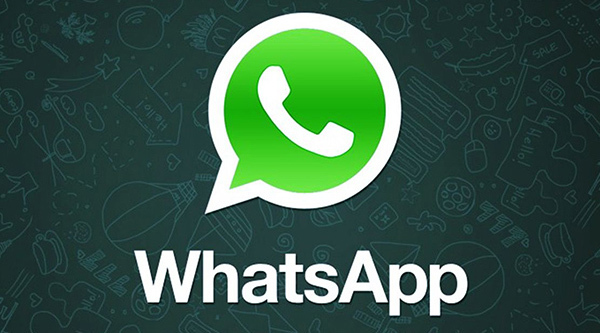 To enable it, you will have to first allow WhatsApp to access the Google Account on the Android phone. Once authenticated, the user can set backup frequency and also mode – over cellular data or W-Fi only. 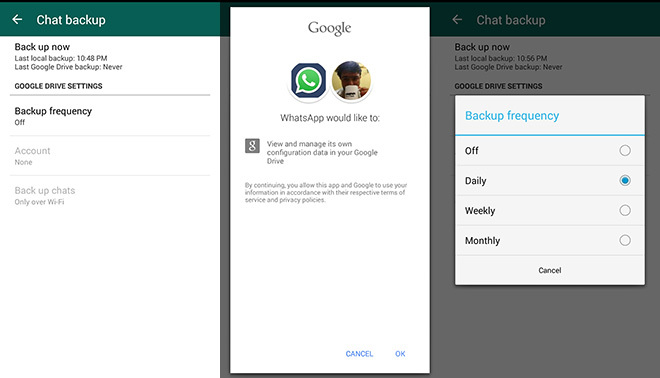 By enabling Google Drive backup, you don’t have to worry about losing your old WhatsApp chats in case you ever have to perform a factory reset or moving to a new phone. In either case, you can install WhatsApp and restore all your chats. Currently, official Whatsapp for Android page shows build 2.12.44 which does not include the Google Drive integration feature. If you can’t wait for the update follow the source link to download and sideload the app package.